When I first heard of these glasses I thought they were the most ridiculous thing ever. Gaming glasses? How could these glasses possibly “improve” your gaming? Well, let me tell you, they do. When first picking up the Paralex Gaming Glasses you’ll find that they are extremely light weight, weighing in at only 20 grams. They have a very comfortable stainless steel frame. It definitely does not feel like you’re going to snap these things, but I don’t suggest sitting on them. The first thing you’ll notice is that these glasses add a bit of magnification on your TV, computer, phone, and tablet screens. This slight enhancement helps out immensely. For example, when playing Xbox or PlayStation and aiming down a player on Call of Duty, you don’t have to squint to see that distant character, which will end up improving your game. An additional perk of the Paralex Gunnar glasses is they contain IONIK lens tint. This lens tinting filters out harsh artificial light and unwanted UV rays. This tint also diminishes that “after image” effect. When typing up a Word document, these glasses make gazing at the screen comfortable and unproblematic! Anyone that sits behind a screen for countless hours can admit to drowsiness and fatigue due to the effects of screen-staring. With Paralex Gunnar glasses, you’ll never have to worry about that again! Turn the brightness all the way up to write or game away! The final benefit of the Paralex Gunnar glasses is that they keep your eyes from drying out. I know me personally, before I had these glasses, I was constantly rubbing my eyes whenever spending long hours in front of a screen. I can honestly say that has stopped! What these glasses do, although very small, is amazing! You can order these glasses in the Lime green (pictured) or black. They retail for $79.00, but Gunnar always has deals going on, so keep a lookout for them! You can visit the Gunnar website and check out the Paralex glasses and all the other super cool models that they have available! If you decide to grab a pair of these glasses, let me know what you think! As always, hit me up on Facebook @Kevin Reardon or on Twitter @ikevinreardoni. This week I would like to start it off with what in my opinion is the best band out there, the Red Hot Chili Peppers! A solid combination of every musical styling mixed through out their massive library of music. This song is called ” Victorian Machinery” it was released as the “B” side of their most recent album “Im With You” this is a great album to hear new guitarist Josh Klinghoffer settle in his new role and the band adapt to his interesting style. Whats your favorite RHCP song? I am Shane, I am 19 years old and i am currently working in Elmer NJ as a drafts person for a solar company. 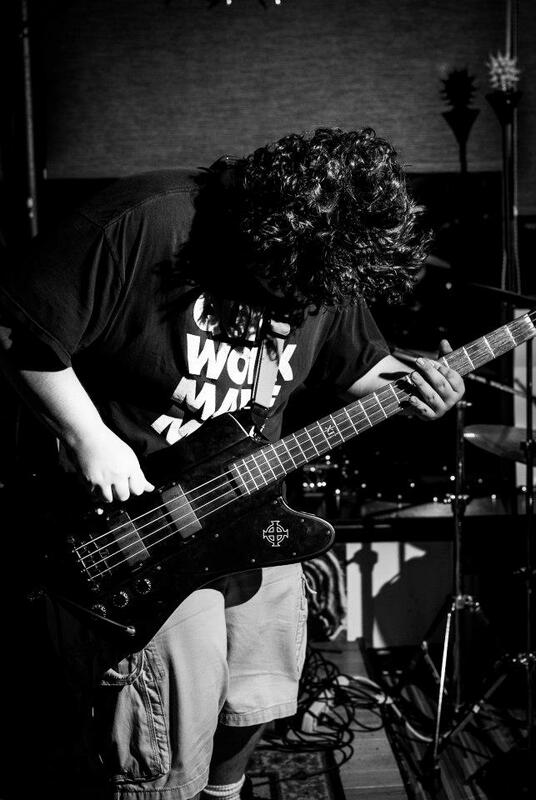 I also am a music enthusiast and play Bass in a couple bands. I enjoy all kinds of music but my favorite band is the Red Hot Chili Peppers and a split tie between Tool and A Perfect Circle. I also like sports (Hockey is my stuff!) video games and a bunch of other random stuff. I hope to be posting music I am really enjoying and bands that I feel deserves some credit! I will also refrain from shameless self promotion of my band beings Kevin will get super pissed at me if i don’t also to a bit of posting on video games and other current issues! While Kevin and I new to this blog we hope to cover a wide verity of topic from music from sports to just random rants! So I hope you all enjoy this blog as much as we will! My other methods of Social media!